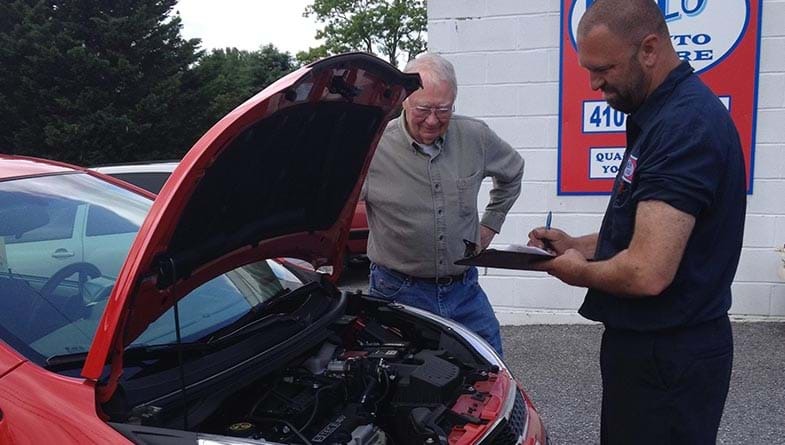 At Jones Auto Care in Finksburg, MD, we believe in providing quality auto services to each and every customer. Our highly-trained master mechanics are dedicated to improving your driving experience and extending the life of your vehicle. We are known for fixing vehicles correctly the first time. For us, doing quality work is good business. Since Jones Auto Care opened in 2009, longstanding customers have kept coming back and referring us to friends and family. Our employees all understand that taking care of a customer's vehicle is very personal. We want to know our customers, not just fix their cars. We discuss vehicle repair and maintenance options to help customers make the right choice to extend the life of their vehicles. Providing the best service is always our highest priority. We even call our customers to make sure that they are satisfied with our work and the customer service we provided. Our master mechanics are ASE Certified. We offer 24-hour key and vehicle pick-up and drop-off, shuttle rides within five miles, 24-hour towing, free coffee and beverages, and free Wi-Fi. We can send estimates via email or text. Our mechanics are ASE Master certified with 60 years of combined auto repair experience. We work on all American, European, and Asian vehicles, including hybrids, diesel vehicles, and light- to medium-duty trucks. You can count on Jones Auto Care for dependable repairs. 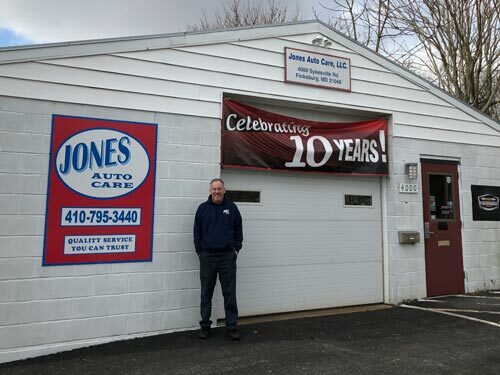 At Jones Auto Care, we stand by our slogan, “Quality Service You Can Trust.” Our mission is to run the highest quality auto repair and maintenance facility for cars, light trucks, and SUVs in South Carroll County. We also believe in giving back through community work and charitable donations. Jones Auto Care is located at 4000 Sykesville Road in Finksburg, MD. We serve nearby towns of Sykesville, Eldersburg, Westminster, Reisterstown, and Owings Mills. We are at the intersection of Rt 32 and Rt 91 across from the Royal Farms store. Our shop is centrally located between Westminster and Sykesville and is about 30 miles from downtown Baltimore.